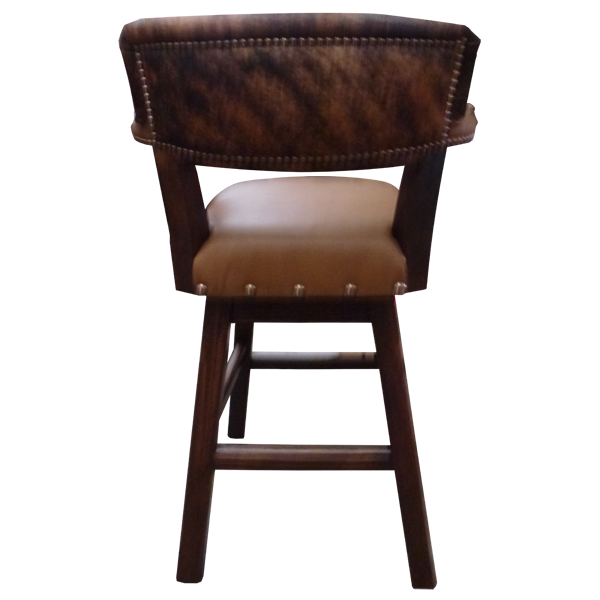 This custom handcrafted bar stool is 100% customizable, and you can select the style for your bar stool that represents your personality while maintaining your comfort. 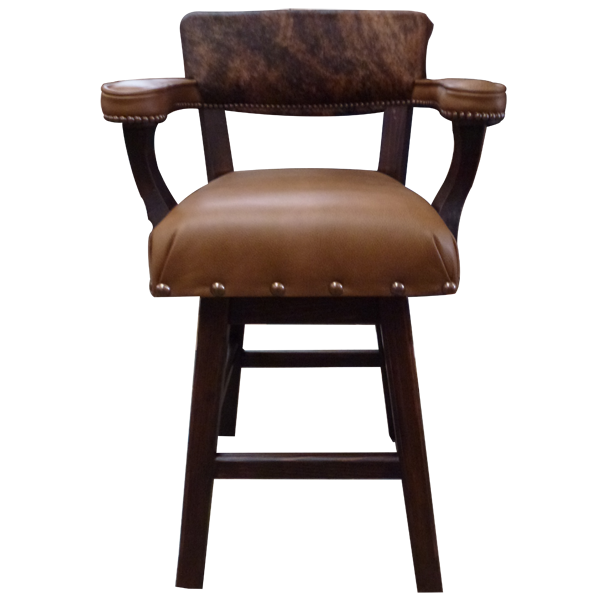 The seat, seat back, and armrest of this bar stool are upholstered in rich natural full grain leather, but you can customize your bar stool and modify the design by using a variety of full grain leathers or fine fabrics. 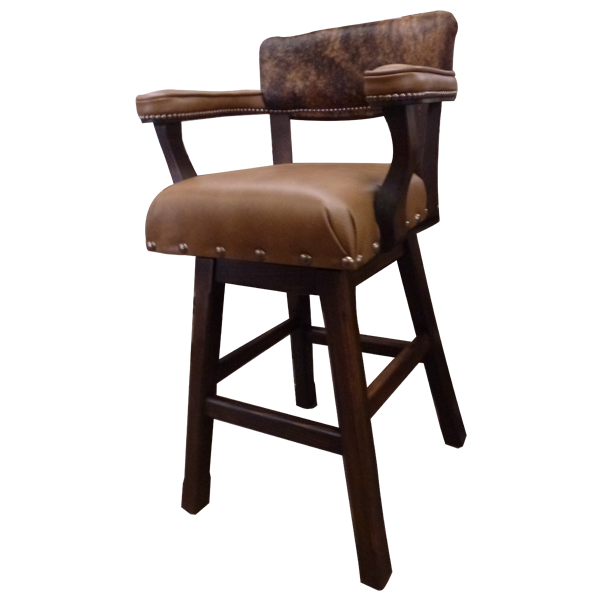 This bar stool is durable as well as comfortable, as the bar stools custom wood frame is made from the best quality wood available, and the full grain leather upholstery is precision hand tacked around the entire bar stool base. 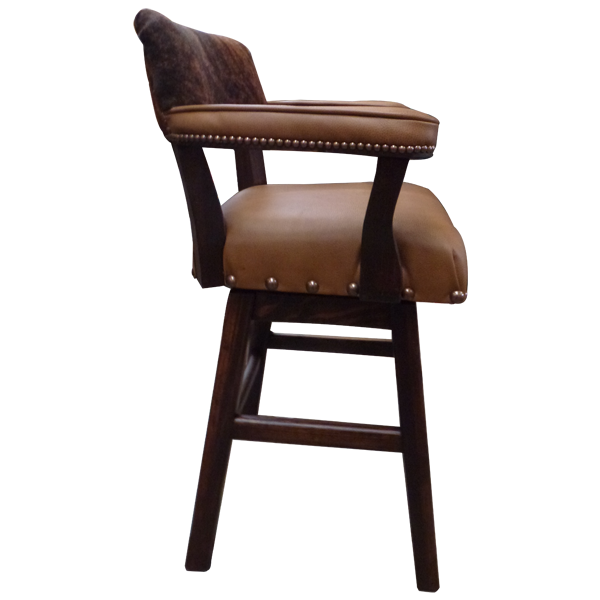 This beautifully finished bar stool has splayed legs joined by a midway box stretcher. The bar stool swivels 180° and is 100% customizable.